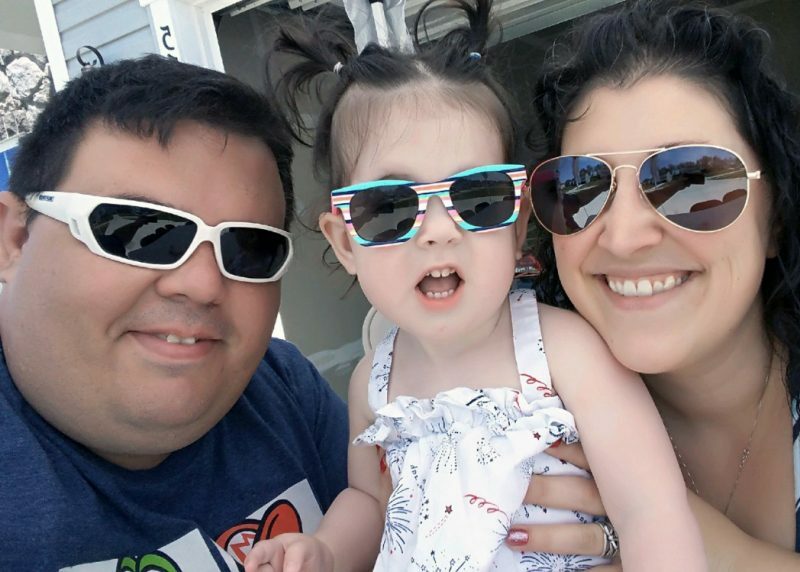 Parents Jessica and Paul are so thankful to finally get a medical diagnosis for Addyson. Addyson Staup has an appetite, and she likes most of the food her parents eat, in pureed form. She runs, she talks and she plays. At 21 months, she’s hitting developmental milestones. She’s a different child from the girl who not long ago was barely able to swallow or use her muscles. Addyson was in serious trouble from the moment she was born. 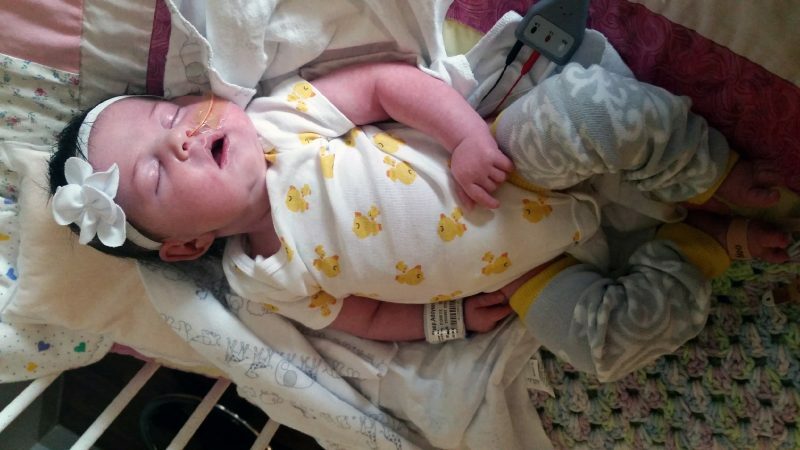 The first time her mother, Jessica, laid eyes on her, Addyson wasn’t breathing. 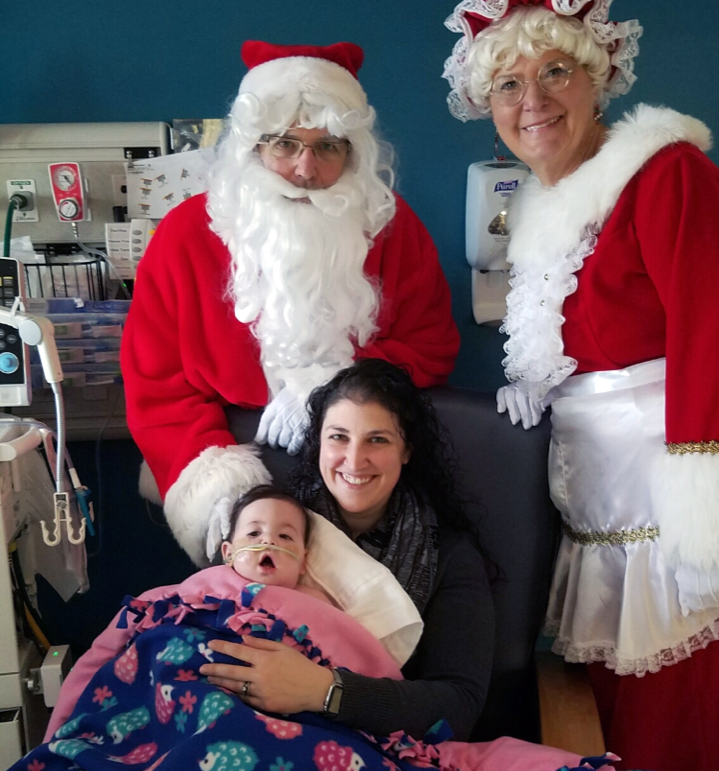 She was intubated and whisked away to Neonatal Intensive Care (NICU) at Akron Children’s Hospital. Doctors saw that Addyson’s muscles were floppy. Something was interfering with her ability to use them. They call it low muscle tone, or hypotonia. She would spend her first 6 weeks in the NICU. Doctors at first suspected Addyson had suffered effects from reduced oxygen to the brain during a difficult delivery. But a brain MRI showed no signs of that. It became clear something else was causing her muscle limpness. She was so weak that cold viruses landed her in Pediatric Intensive Care repeatedly through her first year, often for weeks at a time. Jessica and her husband, Paul, feared the worst for their first child. During one episode, an emergency responder had to resuscitate Addyson in the driveway of their Wadsworth home. Many medical problems can cause low muscle tone. 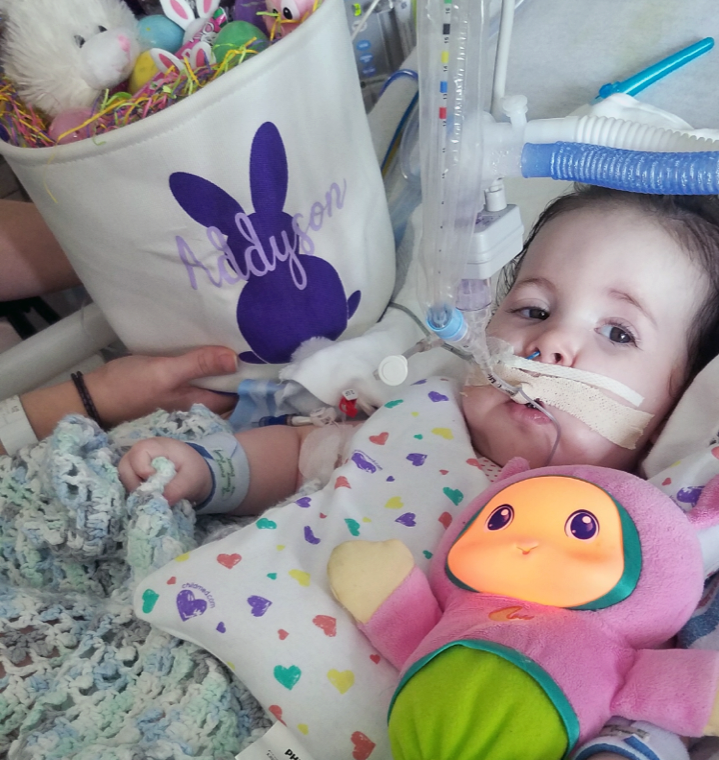 Pediatric specialists from neurology, genetics, gastroenterology and other areas came together to try to figure out what was wrong with Addyson. Initial genetic testing yielded no answers. But geneticist Dr. Carrie Costin and pediatric neurologist Dr. Vivek Veluchamy came to suspect a couple possible genetic conditions. Further genetic testing aimed at specific neuromuscular mutations solved the mystery: Addyson had a rare genetic disorder called congenital myasthenic syndrome. The disease disrupts signals from nerve cells that are necessary for muscle movement at the neuromuscular junction. Paul and Jessica are both carriers of the recessive gene, but they had no idea. Neither have any family history of the disease. But there was good news. An effective medication was available. Last summer, when Addyson was 14 months old, Dr. Costin broke the news to Jessica and Paul. The medication, Mestinon, enables her nerve cells to communicate with muscle cells by preventing the breakdown of acetylcholine, a neurotransmitter needed for muscle function. 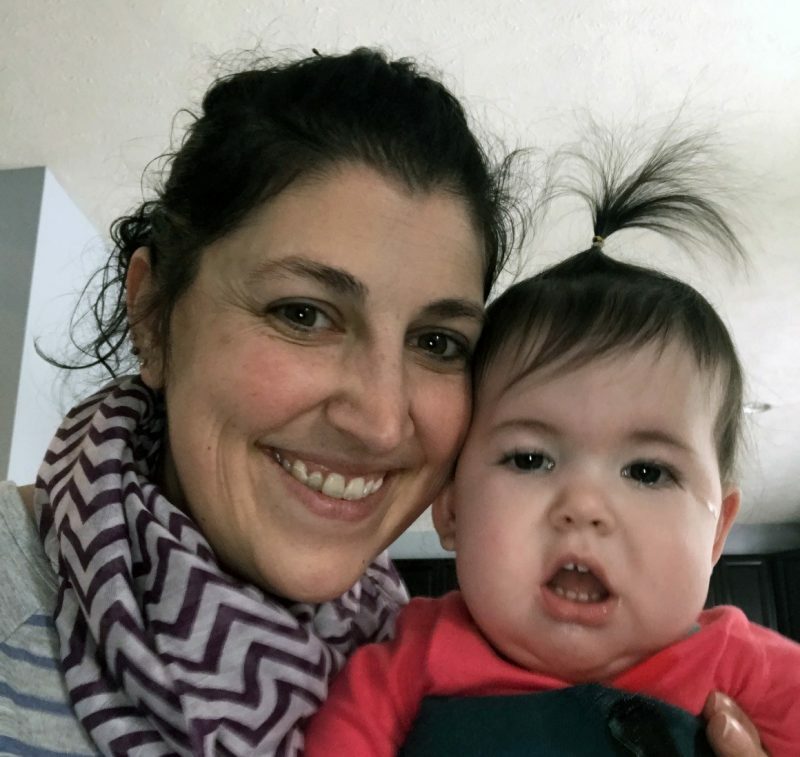 “The medication has made a night and day difference for Addyson,” said Dr. Veluchamy. Because low muscle tone in newborns can have many causes, making a diagnosis requires detective work and a process of elimination. “To be able to find a diagnosis that is treatable is a happy ending,” Dr. Veluchamy said. Jessica and Paul said they noticed a difference just 2 days after Addyson started the medicine, which she is given 4 times daily. She could do more physically and tolerate activity for longer stretches. Addyson is still weaning from her feeding tube, and she should be eating completely on her own by her second birthday in May. She’s catching up with language, speaking in single words, and she has learned sign language. Paul said he and Jessica focus on helping Addyson develop any way they can.